Plot Synopsis: This first entry finds our non-heinous heroes (ALEX WINTER and KEANU REEVES) in danger of flunking History – a most odious proposition! But when the righteous Rufus (GEORGE CARLIN) arrives in a time-traveling phone booth, the dense dudes discover their destiny… and call on the past’s biggest names for help! Quick Hit Review: A classic in its own right, the movie is smartly written and features two wonderfully fun, and in many ways, charming performances from Winter and Reeves (the latter perhaps his best performance in his career). Seeing this again, the last time maybe 10-15 years ago, I couldn’t help to smile from beginning to end and laugh at some of the dumber jokes. It also serves as a surprisingly well done history lesson. This release comes in a nice Steelbook packaging. No new features are included. 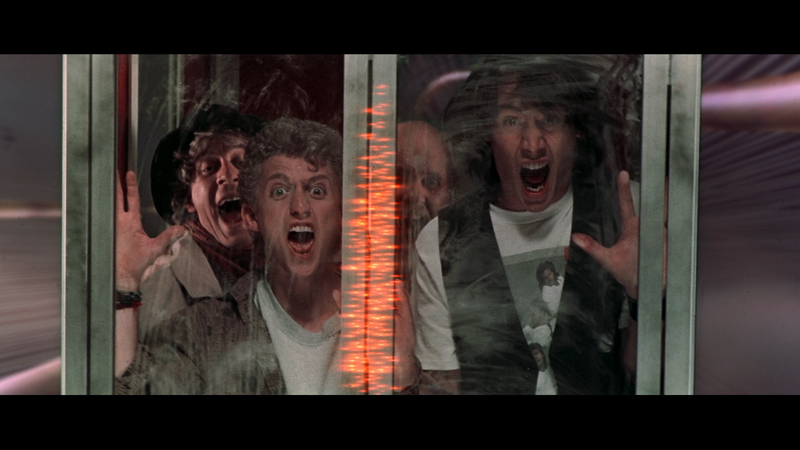 Audio Commentaries – There are two tracks, the first with Actor Alex Winter & Producer Scott Kroopf and the other with Screenwriters Chris Matheson & Ed Solomon. Time Flies When You Are Having Fun: A Look Back at a Most Excellent Adventure (1:01:14; HD) is a lengthy retrospective featurette with new interviews by members of the cast and crew including Stars Keanu Reeves and Alex Winter, Co-Screenwriter Chris Matheson, Producer Scott Krropf, amongst many others (including several of the supporting actors) and they discuss the origins and eventual green lighting and casting of the project. Also included is the Theatrical Trailer. 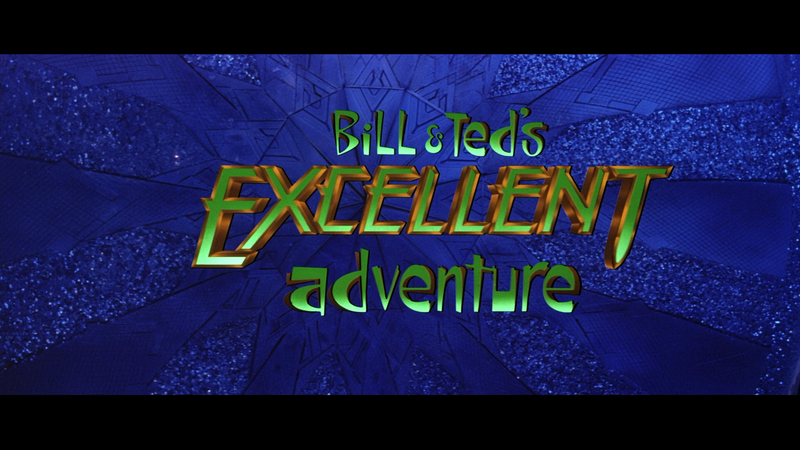 Bill & Ted’s Excellent Adventure is shown in its original 2.35 widescreen aspect ratio and a new 1080p high-definition transfer. It’s actually not a half bad job by Shout Factory which offers good detail throughout and colors appear to be well balanced. It also seems to be clean, free of dust, dirt marks, specs and other flaws. 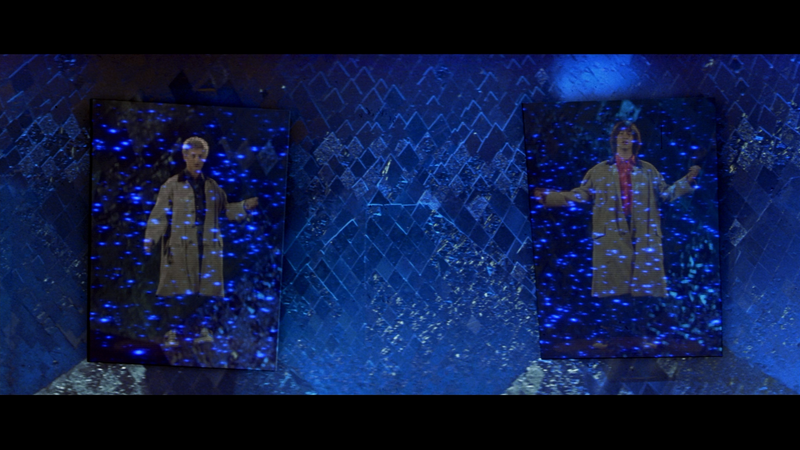 The disc comes with an impressive DTS-HD Master Audio 5.1 track which was strong showing off clear dialogue levels and some fine depth such as when the two dudes travel through the wormhole. Nothing fantastic but still well done. 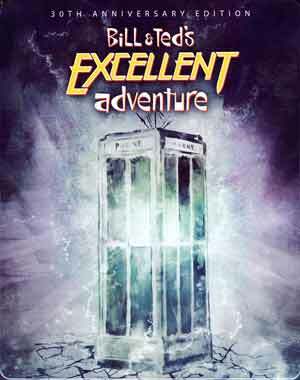 Overall, Bill & Ted’s Excellent Adventure is a fun sci-fi/comedy/fantasy excelling with the chemistry between Keanu Reeves and Alex Winter as well as a great performance from George Carlin in a supporting role. As for this release, all you’re getting is the Steelbook case otherwise the disc is the same as the one included in the two-film collection.